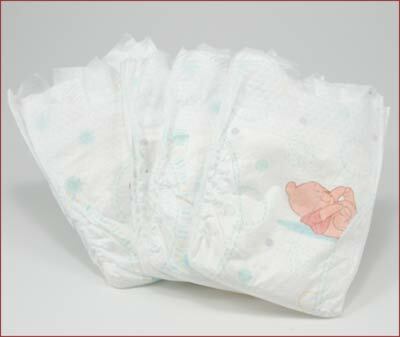 Real baby diapers in preemie size. This real baby diaper is prefect for preemie to full size Secrist dolls. Why spend so much time and effort making your doll look so real and then put a fake "doll diaper" on it? These diapers have an adorable baby print on them and have re-sealable velcro flexi-tabs for closing the diaper. Small diapers fit the preemies.